Luxury four bedroom holiday villa sleeping eight guests. Covered terraces and barbecue area. Superb location on 12th fairway of an 18 hole championship golf course with 40% discount on green fees. Satellite television, DVD and music system. Easy access to spa facilities, tennis courts, clubhouse and restaurants. 15 minutes from Sagres and Cape St Vincent. 60 minutes from Faro Airport. 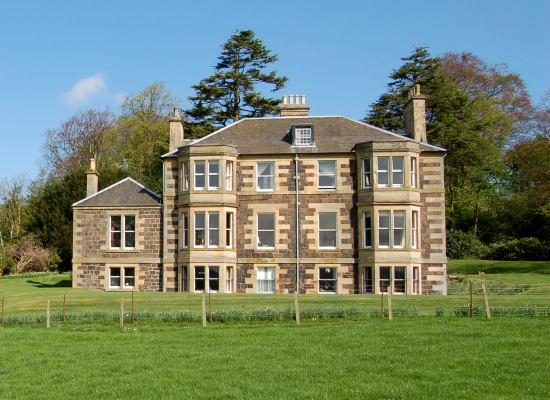 Please visit Kinloss Estate near St Andrews in Fife, Scotland. Let us keep you updated by email about any special offers or last minute availability for self catering villa holidays in Portugal's Algarve. Welcome to Casa Palmeira! 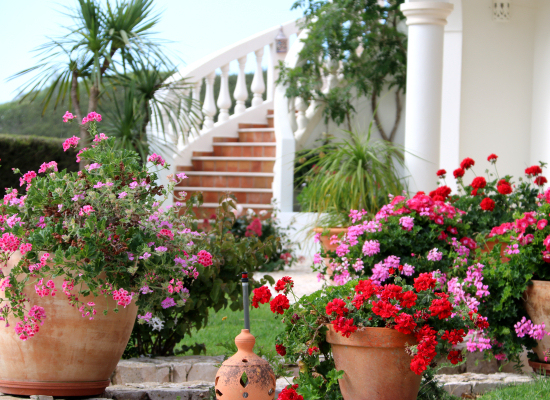 We would like to introduce you to our lovely Algarve holiday villa, and its surroundings. We think it is probably the best property on Parque da Floresta, and we hope you will agree. It is a front-line golf villa, on the edge of the 12th fairway at Parque da Floresta, an established golf and leisure holiday resort set on the edge of the Costa Vicentina Nature Reserve in Portugal's beautiful Western Algarve, about one hour from Faro Airport along the coast past Albufeira and Portimao towards Lagos. Parque da Floresta has plenty to offer families and non-golfers, as well as being the perfect resort for golfers. 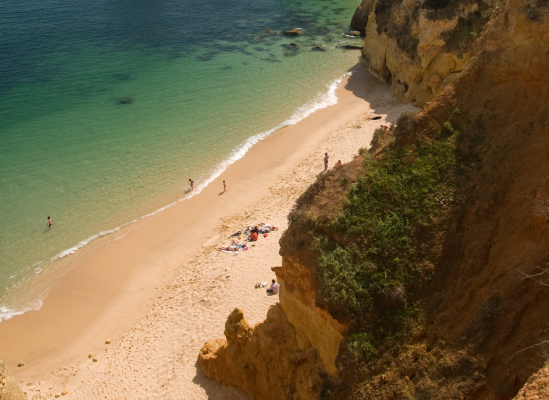 The Algarve is renowned as an area of sun, golden beaches, timeless fishing villages and unspoilt countryside, and Parque da Floresta is simply a wonderful location to let you enjoy everything that the Algarve has to offer. As well as an 18-hole championship golf course, there is a driving range, with a professional available to give lessons, tennis courts, a football academy, spa, swimming pools, bowling green and restaurants. The golf course is an amazing 18-hole, par 71 course, now billed as one of Europe’s most picturesque. Measuring 5,587 metres from the white tees, the course runs along valleys, past eucalyptus covered ravines, flanked by olive, palm and pine trees.There is no doubt that there are some very testing holes, but at all times it is very pretty. Children are an important part of any holiday experience, and are well catered for here. Parque da Floresta children's clubs provide a safe and fun environment for children to play, learn and make new friends. The experienced, friendly staff organise a full programme of activities to keep children amused and happy throughout their holiday. In our website, we have tried to fit in as many photographs of the villa as possible, and to provide some comments from previous guests. We are delighted that many of our guests come back year after year, and seem to love the villa and the Algarve as much as we do. It is very important to us that our gueests enjoy their precious holiday, and we are happy to answer any questions you might have. Casa Palmeira itself is a four-bedroom luxury Algarve holiday villa situated in a great location on the edge of the 12th fairway. It is very private, and is sheltered from the breeze that sometimes comes off the coast. The villa offers luxury living for an extended family, or perhaps two families, and is a perfect choice of self-catering accommodation for a holiday in this beautiful part of Portugal. Three of the four bedrooms have air conditioning, as does the study. Two of the bedrooms, the master and the king-size double, have en-suites. The third and fourth bedrooms share a family bathroom. The Algarve truly is a special place, and our luxury holiday villa offers superb accommodation to match it. The climate is wonderful; mild winters, gentle conditions in autumn and spring, and warm glorious summers make it ideal for enjoying the great outdoors. In 2014, we added to the outside facilities by building a hot tub near the heated swimming pool, and finished an amazing new roof terrace. We think this is a great addition to the villa, and we really hope you will enjoy it too. The views from the roof terrace extend for miles over the golf course and the national park, all the way to the sea. It will be a great place for sun worshippers too, and provides the perfect place to enjoy the last rays of the day, maybe with a gin and tonic! We think it all adds up to a great place for a holiday. We look forward to hearing from you!